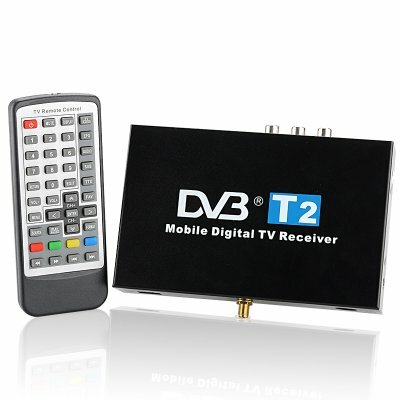 Successfully Added Mobile Car DVB-T2 Digital TV Receiver - H.264, HDMI 1080p, VHF 174 to 230MHz + UHF 470 to 862MHz Frequency Range to your Shopping Cart. 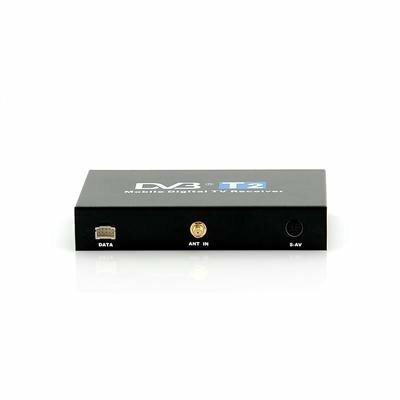 The Mobile Car DVB-T2 Digital TV Receiver supports H.264 as well as HDMI 1080p plus has a VHF 174 to 230MHz + UHF 470 to 862MHz Frequency Range. This car mobile DVB-T2 receiver is fully compliant with ETSI EN 302 755 (DVB-T2) /ETSIEN 302 744(DVB-T2) standard. Designed to decode not only MPEG-1, MPEG-2, MPEG-4, this receiver can also use H.264 high definition signal up to 1920x1080p. Enjoy watching your favorite movies, TV programs, news, music and so much more plus there is a convenient to use remote control so you will have all the entertainment at your fingertips. Connect this to your existing car DVD player and start receiving DVB-T2 digital TV in your car for the ideal in-car entertainment. There is no software needed so it is easy to install, just simply attach the antenna to the receiver box, connect the box to your in car DVD player through the AV cable connect the unit’s power cable to your car battery, and start watching digital TV on your DVD screen. There is an EPG (Electronic Program Guide) with now, next and 7 days events to make certain you never miss a show. 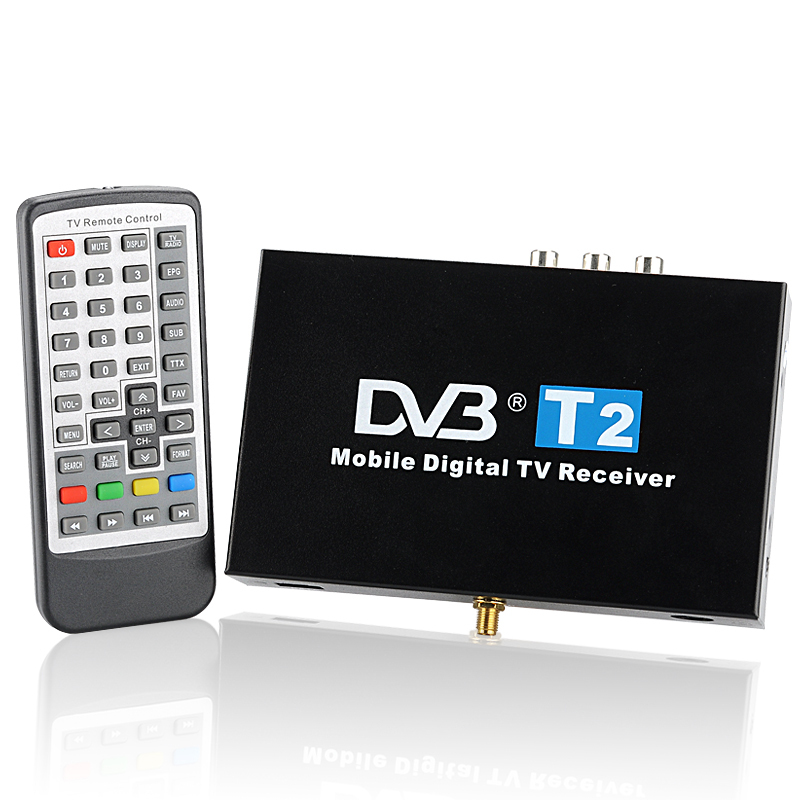 This DVB-T2 is the ultimate in car entertainment must have and will be sure to entertain you and your passengers. Now in stock for immediate shipment worldwide, stock your online store with these popular items to get some sure profits! Order now and you will receive it within a week, wherever you are. Brought to you by your source for DVB-T receivers and other electronics, Chinavasion. If your region is not supported, please set it to your neighbour's region. For example, if Belgium is not in the preset region, then choose the Netherlands. Please confirm if your country receives the product’s digital TV standard before purchasing. As a wholesaler Chinavasion can not advise customers as to which digital standards your country can receive and can not be held liable if this is product is purchased for a country that does not support the products digital TV standard.